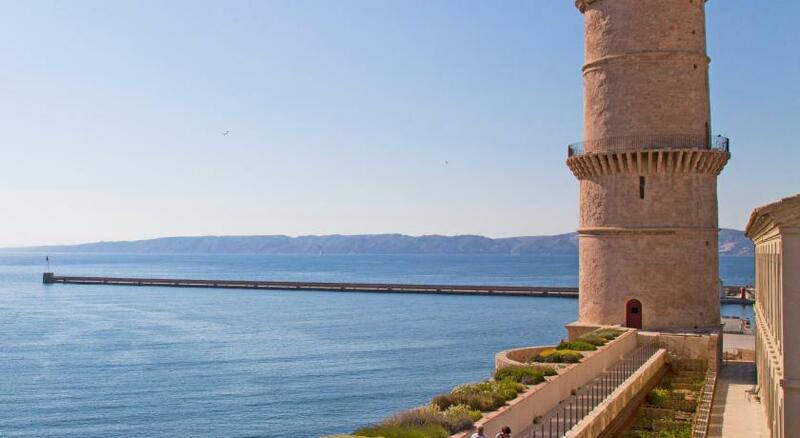 Lock in a great price for Radisson Blu Hotel Marseille Vieux Port – rated 8.3 by recent guests! Breakfast was nice, staff at the restaurant friendly the hotel could be nicer with a warmer welcome from the front office agent. I appreciate only the concirge guy who was very kind, nothing else. It’s a great location. Very central. Lots of restaurants nearby and easy to get to sites. Proximity of the location to the wedding venue we attended and the nice ocean view. Location is perfect for tourism, right away thrnharbour, castle, museums, markets, really walkable for everything, so convenient!! Nice hotel plus good continental breakfast. Beds were very comfortable, location at the Port was Marseilles was excellent, staff was polite, and dinner on-site was tasty. 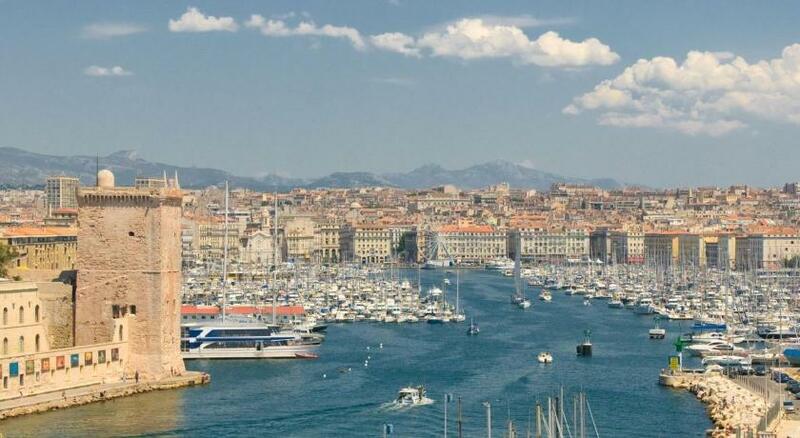 Very comfortable stay in the center of Marseille, well placed, close to restaurants, Port is in front. The pool and lasure facilities deserve the special note, especially during summer trip, big advantage. Old city is close. The room is big, lobby and restaurant is a good alternative for relaxation after sightseeing. Staff is professional. And the breakfast was perfect, 25euro for full buffet with wide variety of food. Very nice two days stay in Marseille. The location was perfect!! The pool looked very nice! Staff at the desk was very friendly and helpful! This hotel was right on the main street that runs along the quay, with amazing views of the boats in the marina and the surrounding area. The restaurant spills out onto the sidewalk, and there are many other sidewalk cafes along the quay. It was a great area to walk around in, and near all the boat trips, shopping, etc. The rooftop pool was lovely and perfect for cooling off, and the pool staff was great! Best mojitos I have had! The front desk staff was very helpful for getting our lost luggage from the airline. Great staff and concierge Loved our room and the location is very good, close to all the action. The rooms are big and comfortable. 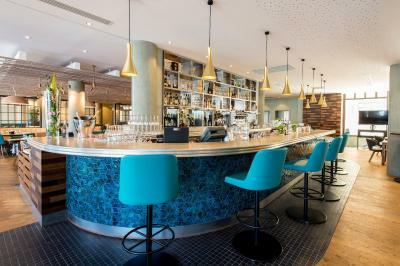 One of our top picks in Marseille.Located in Marseille overlooking the Vieux Port, Radisson Blu Hotel Marseille Vieux Port is a 4-star hotel. It offers an outdoor swimming pool overlooking Fort Saint-Nicholas and a fitness room with a panoramic view of the main monuments of the city. Free WiFi access is available. The air-conditioned guest rooms feature either a Provencal or an African décor. Some rooms have a view of the port and a Nespresso coffee machine. Each room is equipped with a flat-screen TV with cable channels. Bathrobes and slippers are provided in the suites. 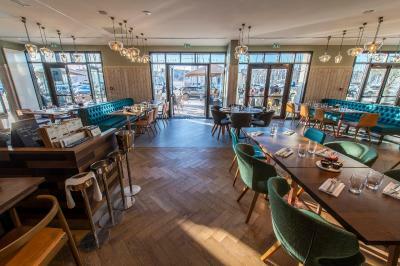 The Quai du 7eme restaurant serves Mediterranean cuisine and proposes buffet breakfast every morning and guests can also enjoy cocktails and tapas in the Bar, with a view over the port. A boules pitch can be enjoyed on the interior courtyard. With a 24-hour reception, Radisson Blu Hotel Marseille Vieux Port is also partnered with the 5 Mondes Spa just 150 feet away, where beauty treatments are possible at a discounted rate. Indigo La Criée Car Park is just 250 feet away, available for an additional charge. 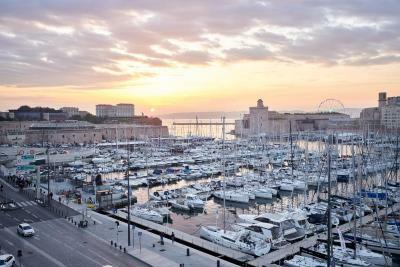 When would you like to stay at Radisson Blu Hotel Marseille Vieux Port? Each room is equipped with a flat-screen TV with cable channels and free Wi-Fi access. A safe, and facilities for making coffee and tea are provided. This room offers views of the old port, a Nespresso coffee machine and facilities for making coffee and tea. A safe is provided and the private bathroom includes slippers, bathrobes and free toiletries. This suite features a separate living room with a flat-screen TV, free magazines and newspapers. There is no extra cost when using the sofa bed. Additional features include a Nespresso coffee machine, bathrobes and slippers. This suite features a seating area and bathrobes and slippers in the bathroom. There is no extra cost when using the sofa bed. With views of the Citadel, this room offers a Nespresso coffee machine, a flat-screen TV and facilities for making coffee and tea. A safe and a private bathroom with bathrobes and slippers are provided. This double room has a cable TV, mini-bar and air conditioning. A safe and facilities for making coffee and tea are provided. Welcome to the Radisson Blu Marseille Vieux-Port, located in the centre of Marseille and its historic Vieux-Port district, the most attractive place in the city. 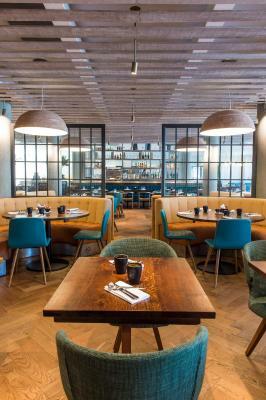 House Rules Radisson Blu Hotel Marseille Vieux Port takes special requests – add in the next step! Radisson Blu Hotel Marseille Vieux Port accepts these cards and reserves the right to temporarily hold an amount prior to arrival. Please note that guests are required to show a credit card upon check-in. The details of this card must match the details of the reservation's holder. For advance payment, the credit card used to pay the deposit must be in the name of the guest and be presented upon check in. Breakfast is free for children 12 and under, and costs EUR 12.50 for children between 13 and 17 years old. Please note that the swimming pool with be closed from 15 October until 01 May. Please note that baby cots are subject to availability upon request. Reception staff where a bit cold . Had a booking issue which could have been resolved very quickly but had to get booking.com to assist which they did admirably. Clean room and comfortable . Port view was very good and well worth paying for . Breakfast was good and worth having. Concierge was very helpful . The windows and the window sill were dirty! Pity, I could not touch the window sill when I open the window to see the beautiful view. Very beautiful experience if you stay in a sea view room. Excelent location and breakfast. Ask for the parking adress before your arrival, since it is located in the street before the main entrance of the hotel. Good public parking located about 100-150 metres from the hotel (no inner communication between hotel and parking). Breakfast was exactly the same every day. Location was great, room v good, great view over pool! Great location next to the beautiful old port, with plenty of restaurants and bars within easy walking distance. Staff on reception were extremely friendly and helpful. The staff were helpful however when asking for recommendations eg where to eat etc the options offered were not the best. The location was great and the rooms very clean. The rooms were a bit old, mold in the bathroom, stripes on the Walls, time for refurbishing. The Staff are absolutely wonderful, my wife was ill and they made us feel fantastic .. best hotel staff ever !! Breakfast was lovely and the location is really great. Delicious dinner. Unpleasant and impolite service from the guy in charge for the breakfast. Not only rude and impolite to us but also to other clients and the employees who has been working during breakfast time.